In Suffolk there are annually a wide variety of exciting and adventurous outdoors activities available for guides. Lackford Lake Day – Guides have the opportunity to go sailing on Lackford Lake near Bury St Edmunds. This activity is in May. Give it a Go Day – Guides can go to Hallowtree Camp Site near Ipswich and can “have a go” at a wide variety of outdoor activities including climbing, abseiling, crate stacking, archery, aerial runway, outdoors cooking, wide games, crafts and many more. This day takes place in June. 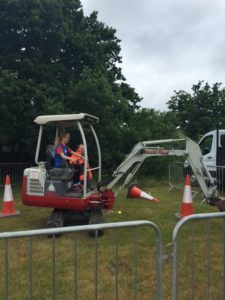 Wet Weekend – This is a Guides and Scouts weekend that takes place at Ramsholt. The guides and scouts camp and have the opportunity to do a whole range of water activities including – sailing, canoeing, raft building, kayaking, and many more. The weekend is in early July. 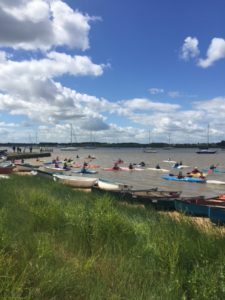 Thorpness Mere Day – This is also a Guide and Scout activity day. The guides and scouts enjoy a day on the mere with canoes and rafts. This activity is in September. 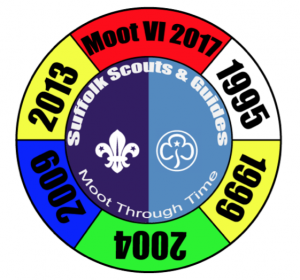 Moot is an activity camp open to Scouts, Explorers, Guides and Senior Section from Suffolk for a weekend camp full of Activities. Moot VI will be held over the August Bank Holiday 2017, from Friday 25th August to Monday 28th August 2017. There will also be the opportunity for Groups to camp from Tuesday 22nd August, making an ideal opportunity to extend the Moot weekend to a week. We take over part of the EX RAF Bentwaters, near Woodbridge Suffolk. The site is huge with a mixture of Buildings and great areas for activities. The land is ideal for camping, with superb grass and well draining soil.